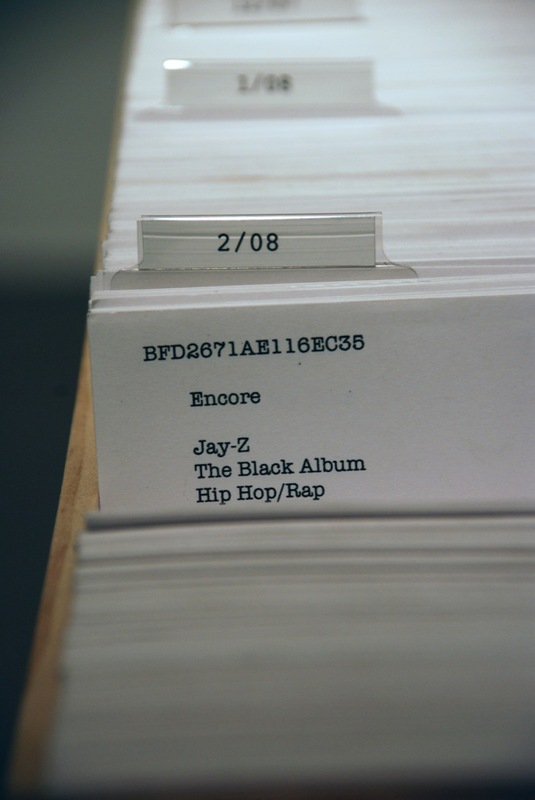 A card catalog designed to hold all of the songs on my iPod, 7,390 songs. Each song is cataloged on a single card. The cards are organized in reverse chronological order, that is the songs I listened to most recently are in the front of the catalog, and the songs I haven’t listened to in two years exist at the back. The piece is seven feet long when closed and just under fourteen feet when opened.